The Detroit Tigers just can't solve Alexi Ogando. 3 times this season - he has allowed 3 earned runs in 21 innings against Detroit for a 1.29 ERA. 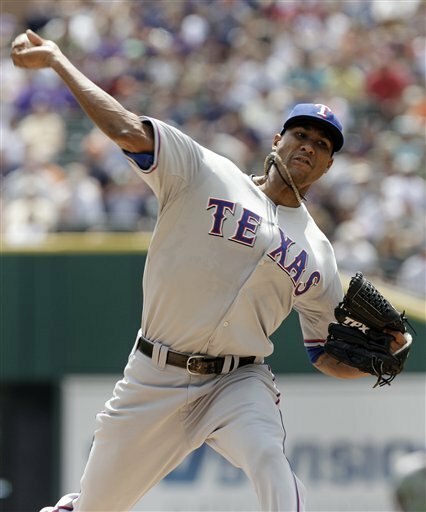 Ogando pitched 6 1/3 innings, gave up 8 hits, 2 runs, NO walks and added 7 Ks.